In case you live under a rock, the Super Bowl was last Sunday. …and my favorite team in the whole world WON! I’m still on cloud nine four days later. 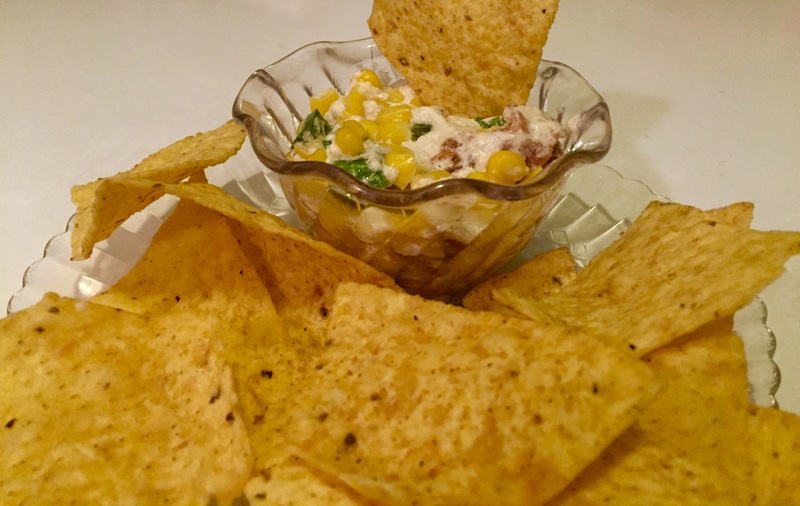 I made a dozen different snacks for a Super Bowl party I went to and along with the Andes cookies I baked, this super simple dip was a real crowd pleaser. In fact, it may have been the best thing I made that day! Guess what? It’s only FIVE ingredients! FIVE! 1. Preheat oven to 400 degrees. Fry bacon in large skillet until crispy. Remove bacon to plate with paper towels. Discard 1 tsp. bacon drippings. 2. Using remaining bacon drippings, sauté jalapeños over medium-high heat for 2-3 minutes. 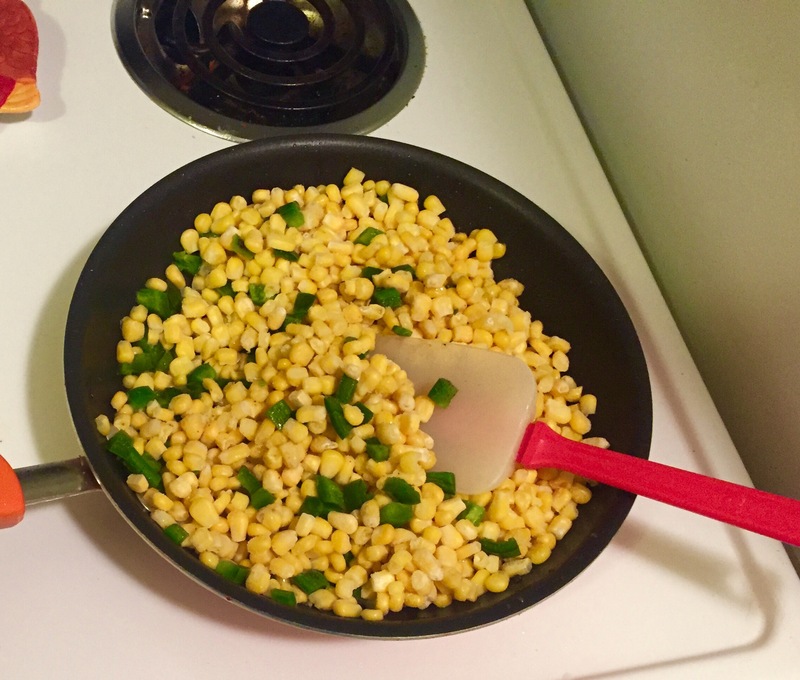 Add bag of corn (still frozen) and stir, heating until corn is just warmed. 3. Remove skillet from heat. 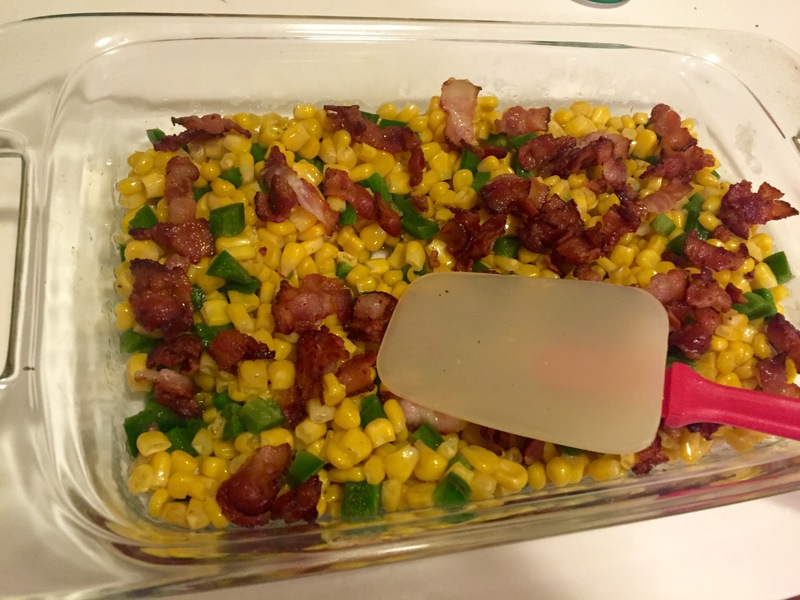 In square baking dish, combine corn mixture, bacon, sour cream and Parmesan. Stir until well combined. 4. Place baking dish into preheated oven. Bake, uncovered, for 20 minutes or until bubbly & lightly browned. Serve with tortilla chips. Skill Level: Incredibly easy. Again, the recipe is only five ingredients! This would be a great recipe for a new cook to take to a party. It’s completely effortless. 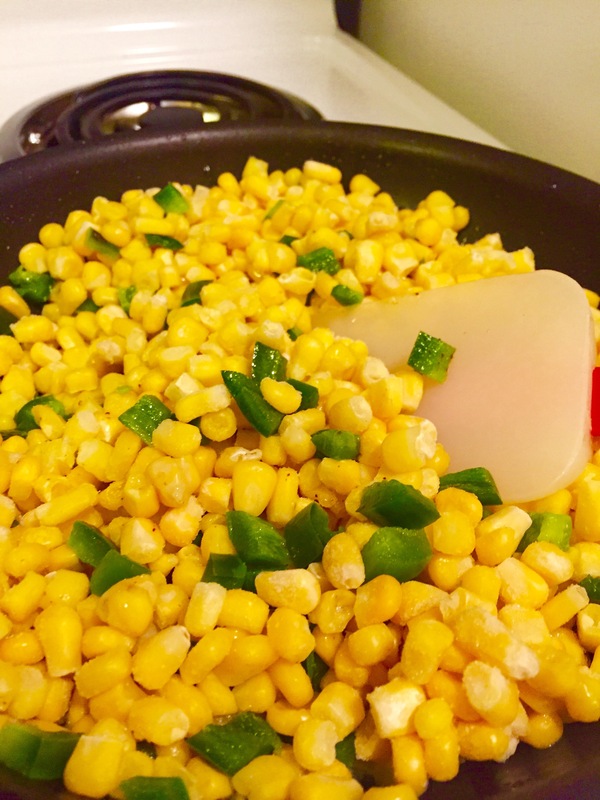 Flavor Profile: You’ve got a little bit of everything here, and it all depends on the type of corn you go for. I always grab sweet kernel corn, because I love sweet and salty things. Also, the smaller a Jalapeno is, the spicier it will be…unless that’s just an old wives tale. 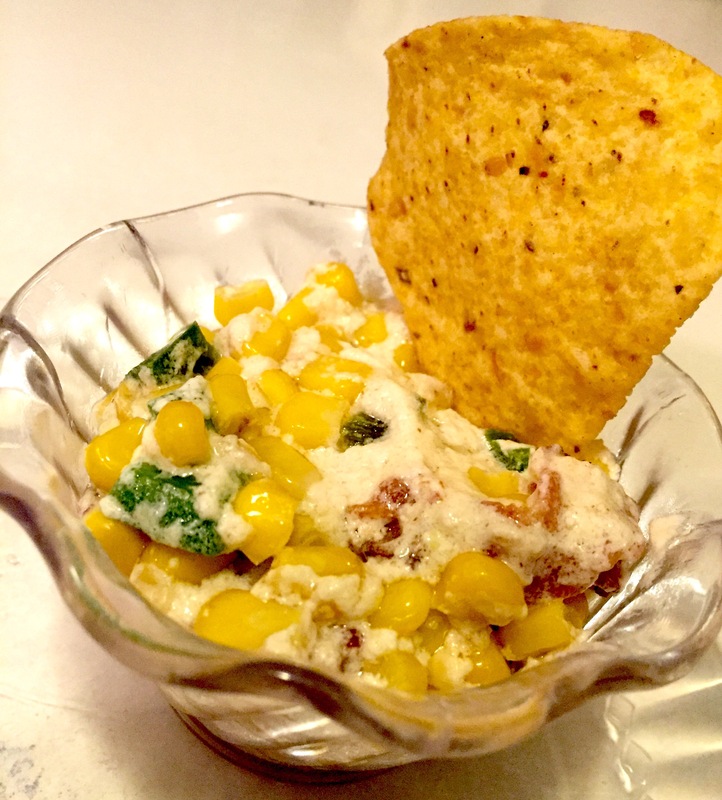 The rendered fat from the bacon + sweet corn + spicy peppers + creamy cheese & sour cream=deep flavor profile. Versatility: Probably best to not mess with the original recipe. You might be able to forego the cheese to make it a little less fatty, or the bacon to make it vegan, but it will mess with the flavor profile. End Score: A-. Only because I should’ve made more.